If you're itching to get started on kitting out your home of the future but you're wary of the cost, here's a deal for you. Right now, you can grab a Fire TV Stick and a second-generation Echo Dot for just $40 — nearly half off the usual price of $75. Both the Fire TV Stick and the Echo Dot cost $40 on their own, so at this price, you're getting one or the other for free. It's not the top-of-the-line models, though; the Fire Stick comes in a 4K variety, and there's a newer Echo Dot available. But if your TV is 1080p and you don't need your Echo to have fabric on it, this is one heck of a deal. 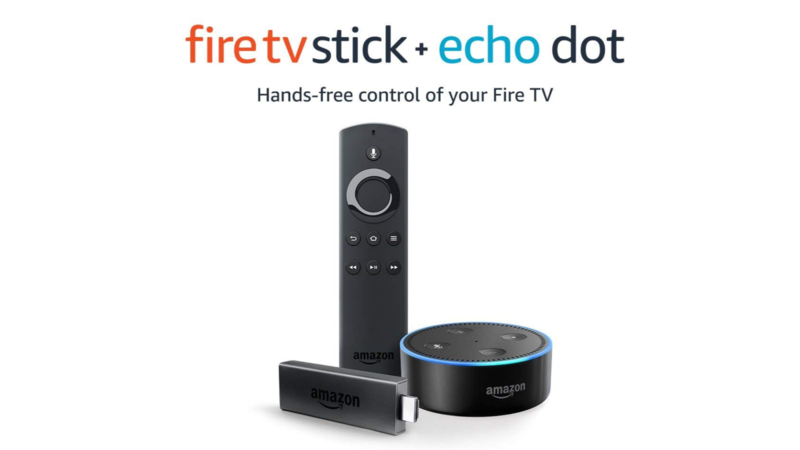 Before you bite, though, consider that Amazon will have deals on both the 4K Fire Stick and the newer Echo Dot starting tomorrow: they'll be $35 and $24, respectively, meaning the pair would only be $19 more than this bundle. If you want to save that $19, hit the link below.